How much TIME have you spent trying to learn English? How much TIME have you lost with impractical studying exercises, only to forget what you have learned before your next class? If that’s the case, why not try learning English in a more natural way that will never become boring, a way that can even help you become more interested and curious about the language. 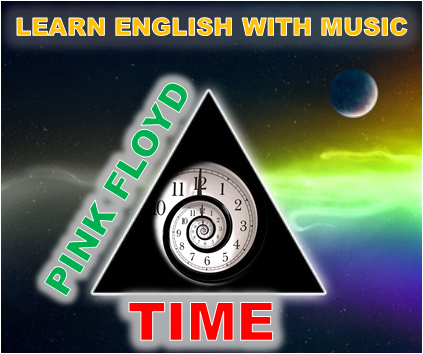 Learning English with music can do all of these things and more, which is what I’m about to show you with Pink Floyd’s amazing track TIME!! As I have written in the previous article, Learn English with Pink Floyd: I wish you were here, Pink Floyd has been a very influential band for progressive rock music. 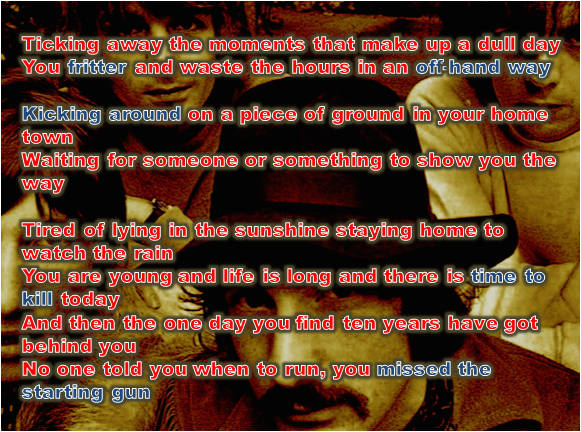 Their philosophical lyrics and extraordinary live shows gave them huge fame during the 60’s and 70’s. 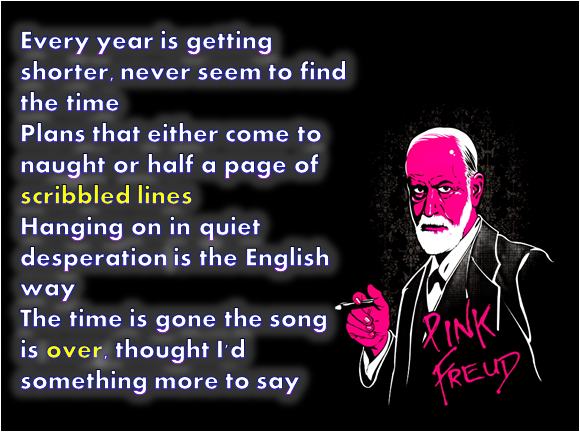 Today I would like to share with you one of my favorite Pink Floyd songs ever… TIME!! This song is about how time passes by so quickly, but most people tend to waste it on unimportant things and don’t realize until it’s too late. Roger Waters (lead singer), came up with this song when he was 28 after realizing that he had nothing more to prepare for in life. Take a look at the clip and sing along with the lyrics below. The song time is from the album ‘The Dark Side of the Moon.’ This title, according to the band, is an expression that refers to insanity. The idea behind the album was, through each song, to describe how modern life can drive people crazy. Each song from the album represents a different aspect of social issues which have caused people to go insane. The idea behind the song time is that it represents fear of mortality. Time will kill us all. Let’s look at the lyrics and try to interpret the the meaning. Miss the starting gun– The gun used at the start of a running race. 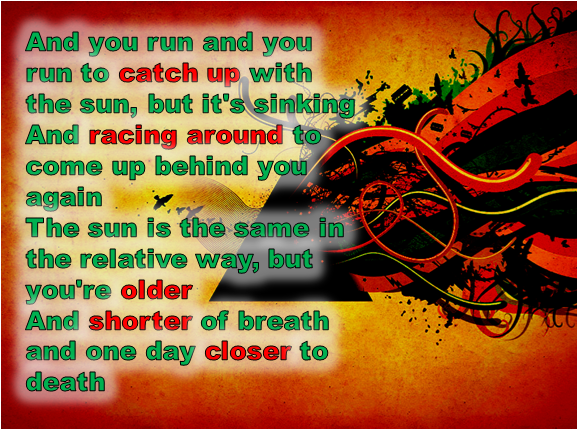 In the song they are saying that your life is the race. Catch up – To reach or to pass something or someone. Older/Shorter- The comparative forms of adjectives old, short and close. Scribbled lines- When words are written in an uncomprehensible way. When you are young you think that you have unlimited time and don’t do the important things. And then before you know it you are too old and you can’t do those things anymore, and you regret passing up all those opportunities. 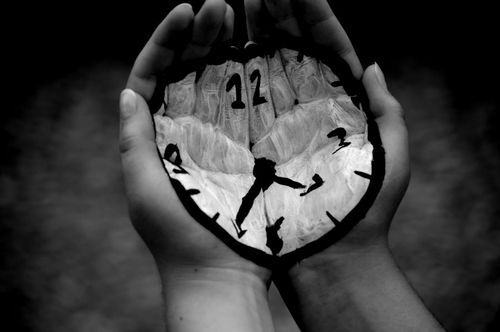 As we have just heard in the song, time is something that affects us all and it’s something none of us can escape. But time doesn’t have to always be a negative thing. 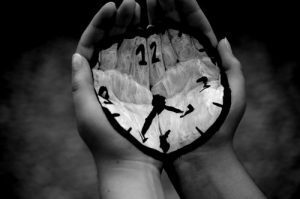 In English there are many positive and negative expression related to time. To save time means to efficiently plan what you are going to do so you have more time to focus on other things. To waste time is the opposite. 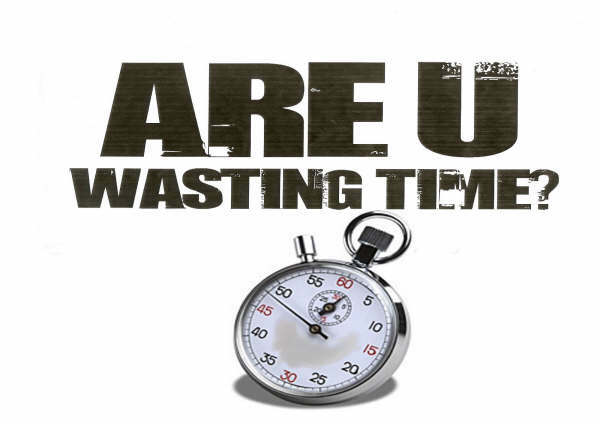 To be very inefficient with your time which in return gives you less time to do the things you want. This is used to express that time is moving or passing. When used it is commonly to say that something is changing gradually. We use this expression to tell someone that your time is valuable. The most common situation is when someone is taking a long time to do something for you. Whether you have been hurt emotionally or physically, we can say this to console someone, that with time they will feel better eventually. It is more common in the emotional sense. This is used to say that we will know the answer or result to something only after a period of time. “I don’t know, only time will tell. When something is done many times in a repetitive way. This expression is usually used for something that is irritating you, so it’s generally negative. When you have so much time that you don’t know what to do. To take a break or a holiday from work. This expression means that you arrive or finish something just before it is too late. At the last possible moment. 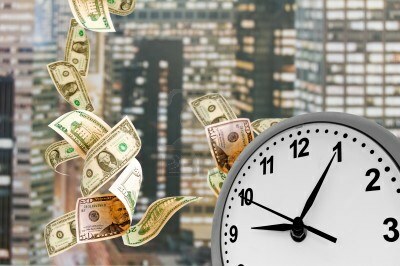 Like Pink Floyd has taught us, your time is a very precious commodity and must be valued. The next time you have some extra time don’t forget that an extra 10 minutes could be used very efficiently to practice your “Lifestyle English.” Put on a song and get the lyrics, read an article on the RLE website, chat with some people on the RLE community. Whatever it is, use your time wisely and appreciate it while you can! !